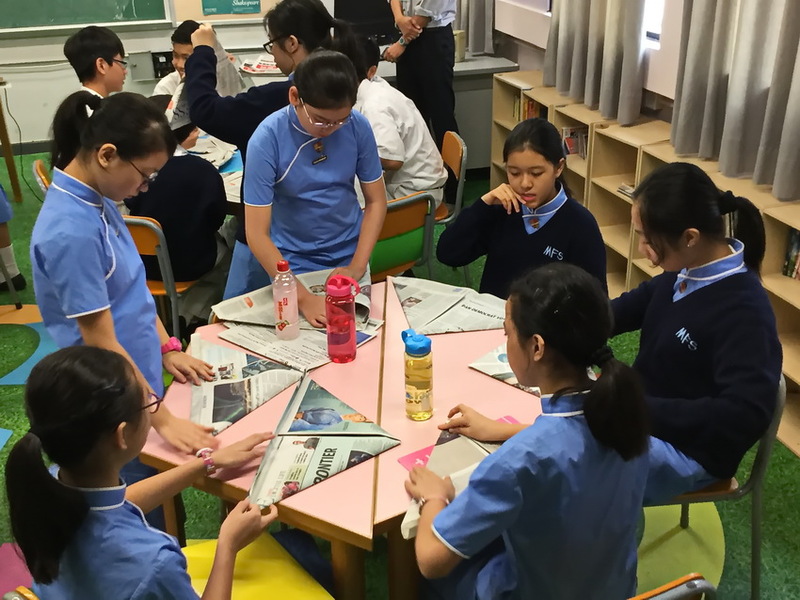 Mr. Koehoorn, our native English teacher, held a paper folding class for our F.1 students. 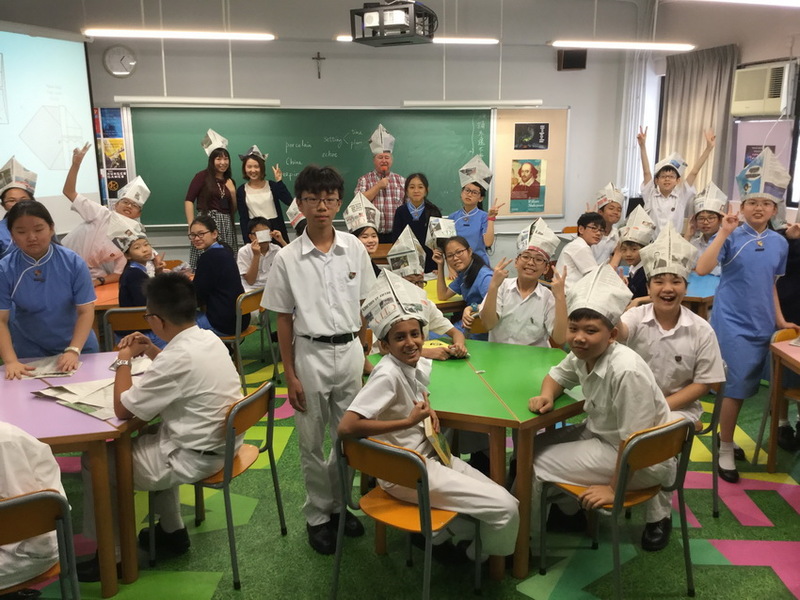 Using large pieces of newspaper, our students had a great time making the Pope’s hat, a samurai’s hat, a cowboy’s hat, a fast food shop worker’s hat, and the list goes on. 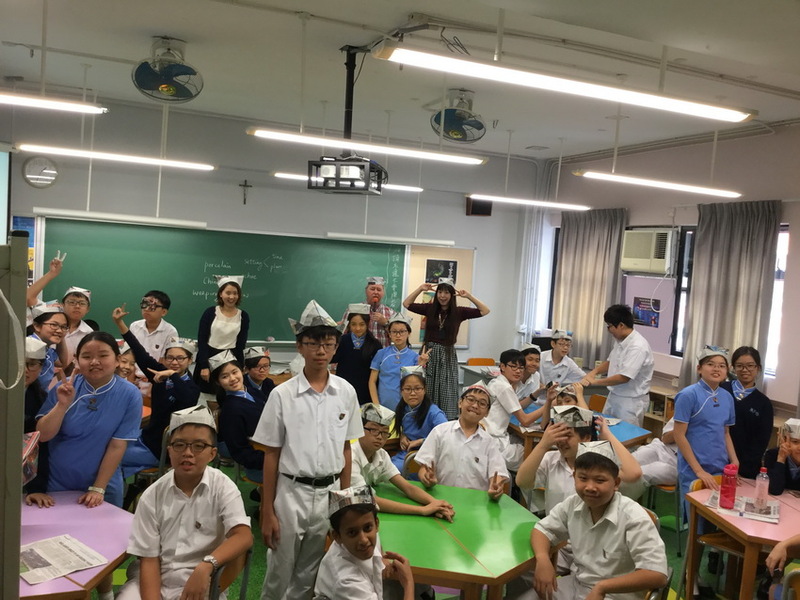 In the meantime, this is the first day on which our English Ambassadors were on duty. The Ambassadors-in-training also came to support the event. 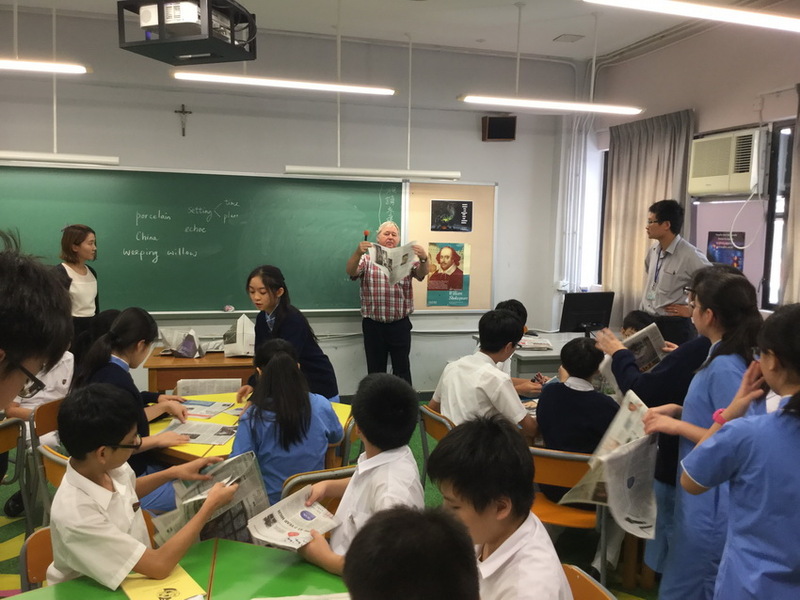 There will be a lot more upcoming English activities. Stay tuned!